We’re here to help you 24/7. Call us at (402) 342-5566 or (402) 619-0615. We provide expert and compassionate care to all, with the vision of how healthcare should be delivered next. 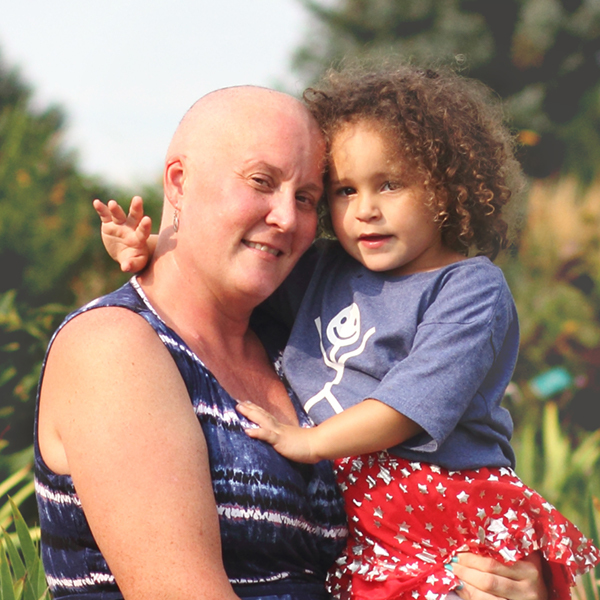 Kari was first diagnosed with breast cancer in 2008 when she was 34-years-old. When the cancer returned, tears rise and her voice quivers when she thinks of all she has to lose. After undergoing breast cancer treatment, recovery becomes the focus. In partnership with the Susan G. Komen Great Plains and Project Pink’d Inc, and individual contributors, VNA provides financial assistance and support services to assist in your care. Financial assistance for day-to-day expenses, such as utilities, gas cards, one-time medical needs, or other essentials (for Nebraska residents). In addition to the above, companion non-medical care services are available. A VNA representative will work one-on-one with you to determine what services will provide the greatest assistance in your recovery process. As part of VNA and Legal Aid of Nebraska’s ongoing partnership, we have created a set of video resources to assist breast cancer patients in navigating legal issues that may arise with their diagnosis. Click here for more information. Learn how VNA provides emotional support, financial assistance and system navigation to those in the BCPAP. How do I know what help is available to me as a breast cancer patient? The VNA Breast Cancer Assistance Program is dedicated to providing services that enable you to prioritize your needs, and determine which services or financial support will make the most difference in meeting those needs. We will work closely with you to find out what will make the most impact on your life. What non-medical services are available for breast cancer patients? VNA provides support such as light housekeeping, meal preparation and other services to Douglas and Sarpy county residents going through breast cancer. What are my employee benefits and employee rights when undergoing treatment? What is FMLA and who qualifies for it? Can my employer make me use vacation and sick time at the same time I am on FMLA? What happens if I cannot return to work after my 12 weeks have expired? How does the American with Disabilities Act apply if I am still limited but want to return to work? What is a power of attorney and healthcare power of attorney? What is the difference between a Healthcare power of attorney (HPOA) and a Durable power of attorney (DPOA)? What is the difference between a healthcare power of attorney (HPOA) and a living will? Why should someone have both a Healthcare power of attorney (HPOA) and a durable power of attorney (DPOA)? Does signing a HPOA take away my right to make my own medical decisions? What is Supplemental Security Income (SSI) and Social Security Disability Insurance (SSDI)? What are reasons individuals with cancer are denied disability? Can I work and still apply for/get social security disability? As part of VNA and Legal Aid of Nebraska’s ongoing partnership, we have created this set of video resources to assist breast cancer patients in navigating legal issues that may arise with their diagnosis. The stress that comes with the financial impact of breast cancer can have a harmful impact on treatment outcomes. Help us alleviate some of that burden by donating to VNA Breast Cancer Patient Assistance Program today! Please note: After clicking "Donate Now”, you'll be taken to a new page to complete a secure donation. We’re here to help you 24/7. Call us at (402) 342-5566 or (402) 619-0615. See how your donations make an impact right here at home. We will never share your email address, and you can unsubscribe at any time. © Visiting Nurse Association 2019. All rights reserved.